Usually in the summer my girlfriend and I try to spend at least a couple of weeks on vacation somewhere where it´s nice and sunny. This time it was only one week in Zurich. And from every trip I bring back records but my girlfriend really hates thrift stores, flea markets and actually any old junk, so I try to keep the time spent with that to a minimum. Her dislike also shows me what a strange pleasure it is to dig though dark and dusty stores, instead of enjoying the sunny life outside. If it wouldn´t be for her, I´d probably spent my whole vacation getting my hands dirty in old boxes. Thanks to her we spent the days exploring the city and swimming in the Zurich lake. We also went to see The Jackets, a great Swiss garage band, at the Rote Fabrik and met Lurker Grand, author of Hot Love, the most comprehensive book on the early Swiss punk scene (1976-1980). Hot Love, a coffe-table size book with tons of full-page photos of punk bands, records, flyers and even self-made punk clothing, really is a graphic masterpiece. Lurker is currently working on a follow-up book on the Swiss Post-Punk scene of the 80´s. The Swiss equivalent to a charity shop is a Brockenhaus. These Brockis are great because, unlike a lot of stuff in Switzerland, they are cheap and, like everything the Swiss people do, very well organised. I always find lots of cool records there. Maybe not the rare punk material that is mentioned in Hot Love, but you can find that at the Good bad Music for bad, bad Times Blog here, here , here and here. 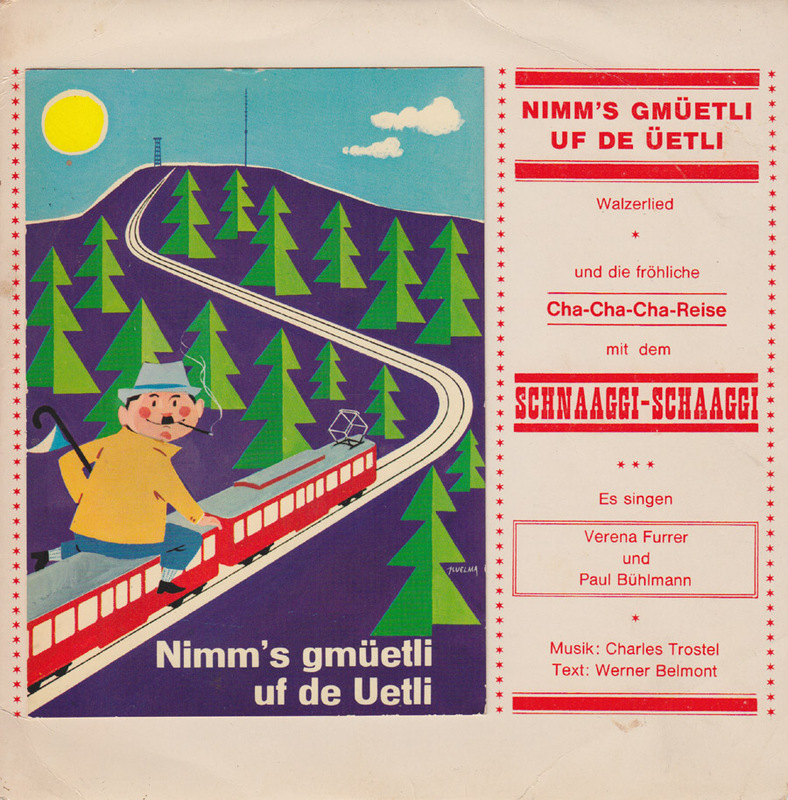 This record is a advertising for the new electrical train up to Uetli mountain, close to Zurich. 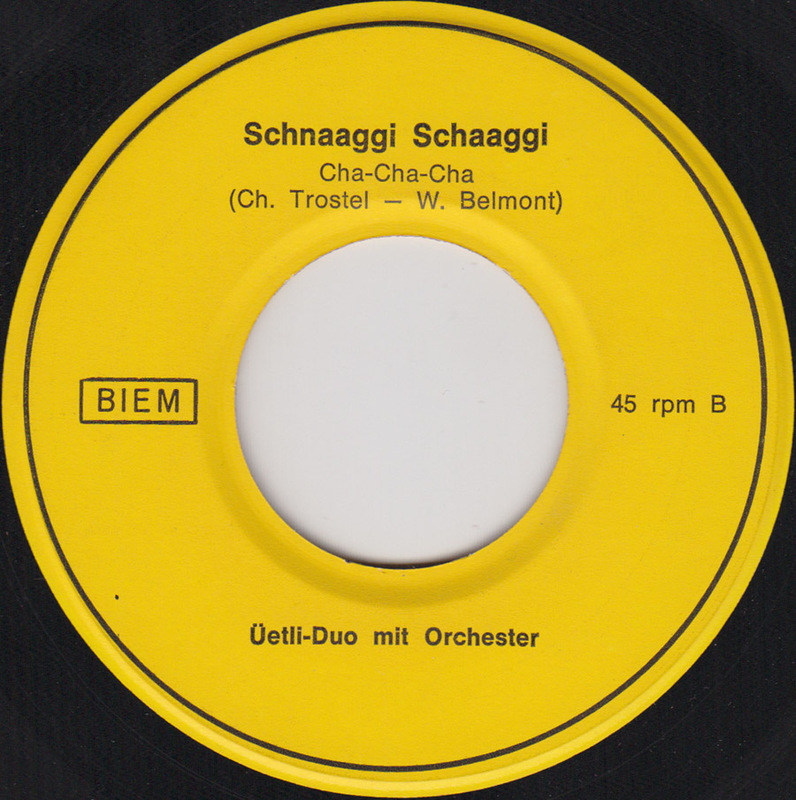 The Schnaaggi-Schaaggi was the old steam train that operated until 1962. 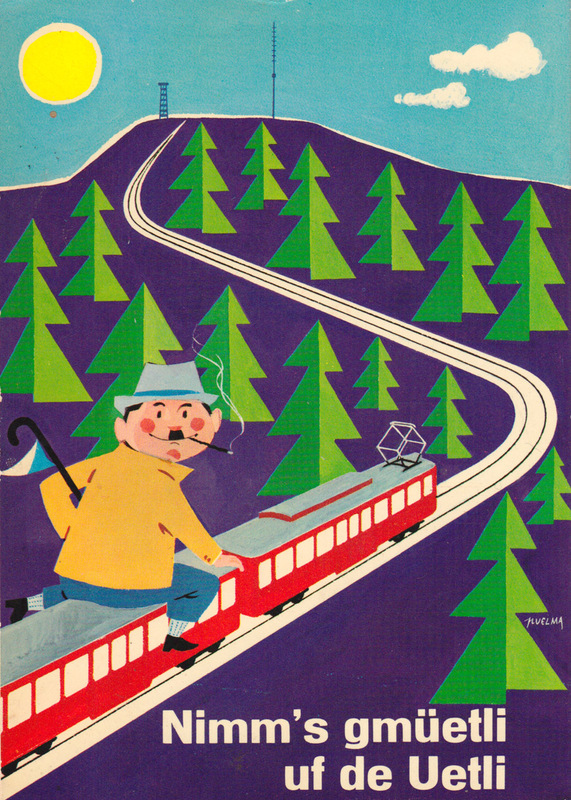 It´s running again in the summer months and I hope to make it up there the next time I visit Zurich. A very nice one. Oh, I love the “Brockis”, too !